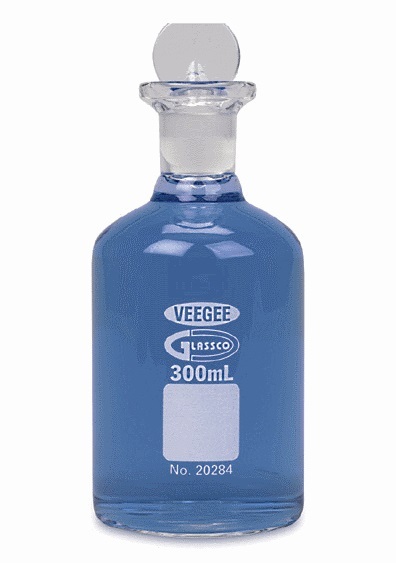 The 20284 Series 300 mL BOD borosilicate bottles are the perfect choice for incubating diluted samples of clean water, waste water, effluent water, and polluted water during the 5-day biochemical oxygen demand (BOD) test. This procedure is used to determine the relative oxygen requirements of the tested sample. Standard Methods for the Examination of Water and Wastewater include recommendations to use 300 mL bottles with glass stoppers for the 5-day BOD test. To prevent the ingress of air during incubation, these BOD bottles feature a flared mouth to form a water seal. The interchangeable glass stoppers have a tapered bottom that also prevents air entrapment. The stopper joint on 300 mL 20284 Series BOD bottles is compatible with the probes of leading BOD and DO meters. BOD bottles have large, permanent marking squares. 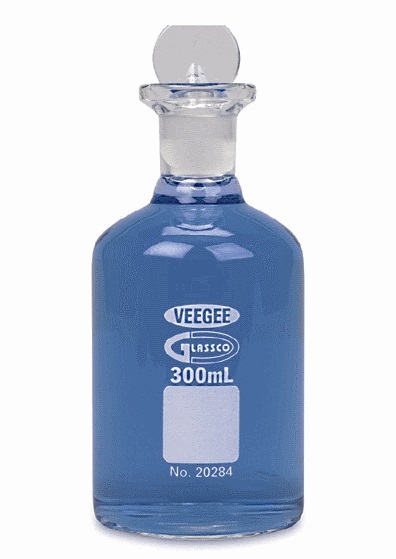 These 300 mL BOD bottles meet ASTM E-438 Type 1, Class A borosilicate glass specifications. This type of glass makes them much less susceptible to etching, when compared to traditional BOD bottles.